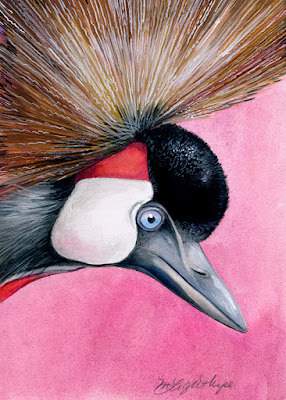 This painting is of an African Crane I met at a zoo in Costa Rica! The bird and I engaged in a dance while I was photographing him. He strutted around the enclosure and made great overtures of showing me just how magnificent he was.